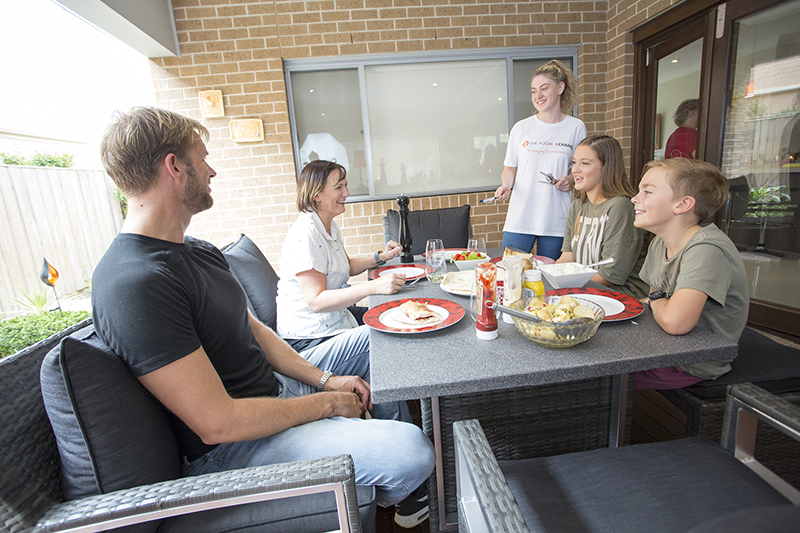 Guests become part of a home, giving their time in Xchange for food and accommodation. The Room Xchange is the easiest and most secure way for people to use their extra space as a resource and connect with a growing community of like-minded people who want to experience independent living, without the high cost. An Xchange is so much more than just getting your time back and cost-effective living, it is about de-stressing your life, getting the time back for things that are important such as spending time with family, connecting with friends, taking the time for your health, going away on the weekends and doing the things our busy lives often prevent us from doing. Hosts get up to 14 hours of help around the house each week, giving them back their precious time. The Room Xchange is an online marketplace that connects people with a spare room with guests who are willing to Xchange their time for food and accommodation. We’re dedicated to bringing people together of all ages, cultures and backgrounds to share more meaningful life experiences.